I know, I'm as disappointed as you. But it will come... one of these days. 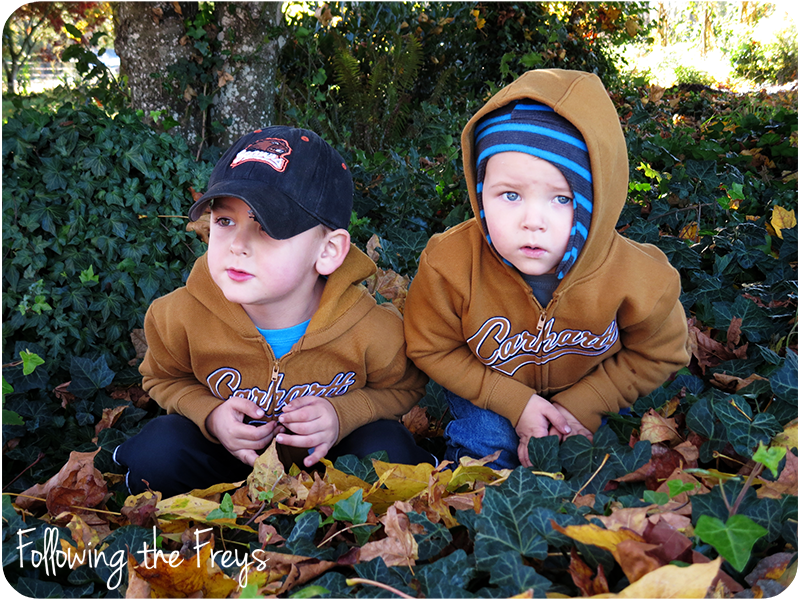 The boys got matching Carhartt hoodies this week. These are the black boxes that the dahlia tubers are put into when we dig/wash them. 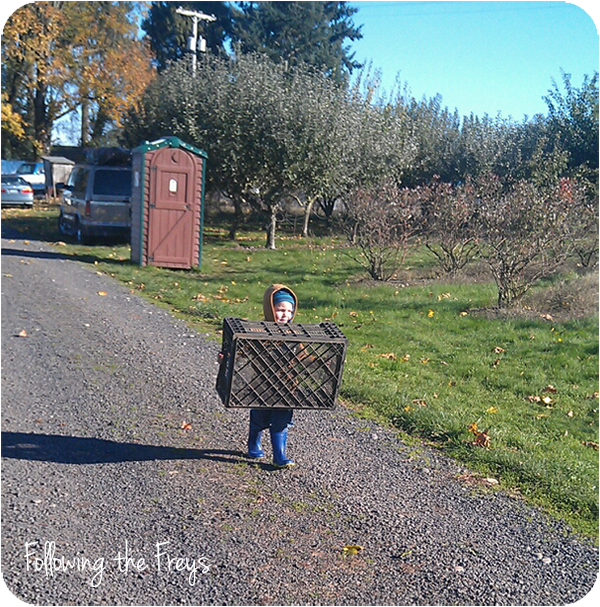 Caleb spends a lot of time carrying them around from place to place. I'm not sure what his logic is, but he seems to know where they ought to go. He fell asleep while riding the riding lawnmower with grandpa. 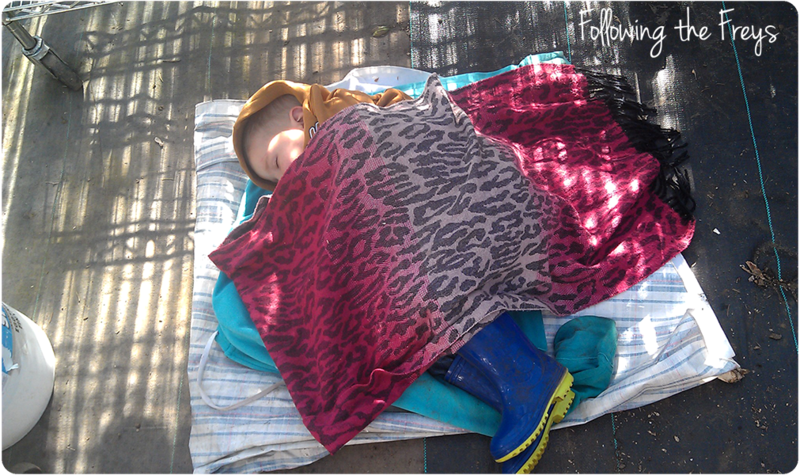 Grandma just laid him down on the floor of the greenhouse and he had a nice nap. 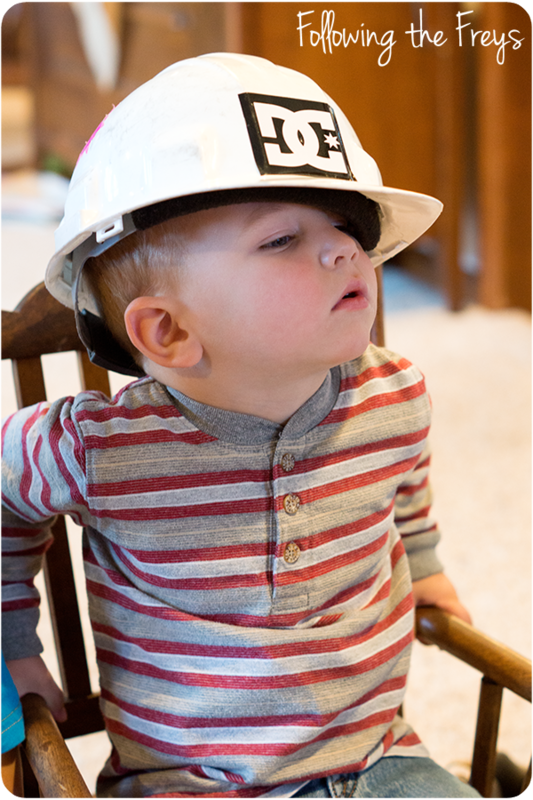 Watching cartoons with his hard hat on. And finally, a video of Caleb. He's been really into licking things lately. I actually went for the camera because he was dancing and singing Jesus Loves Me in a very adorable manner, but by the time I returned this was all I was able to capture.